Draft: 2013, Pittsburgh Pirates, 9th rd. Chad Michael Kuhl (pronounced Cool)...Is a 2010 graduate of Middleton (DE) High School...Attended the University of Delaware, where he went 10-2 with a 3.75 ERA (105.2ip/44er) and 76 strikeouts in 2013 as a junior...Was named a second-team Colonial Athletic Association selected in 2013; (was the first pitcher from the University of Delaware to win 10- plus games since 2002)...Signed by Pirates scout Brian Selman. Began season in Pittsburgh's starting rotation and was victorious in his first start on 4/1 at Detroit (game 2)...Left his second start on 4/7 vs. Cincinnati with a lead in the sixth inning, but was the victim of a blown save... Gave up a career-high 11 hits on 4/13 at Miami and suffered his first loss...Won back-to-back starts on 4/18 (6.0ip/1er) and 4/25 (6.0ip/3er)...Served as a pinch runner and scored a run on 4/27 vs. St. Louis...Surrendered four home runs and six runs (four earned) in a 12-4 loss on 5/1 at Washington... Served as a pinch runner again on 5/5 at Milwaukee...Gave up just one hit and tied career high with eight strikeouts in a 9-0 win on 5/6 at Milwaukee...Left games on 5/12 vs. San Francisco and 5/23 at Cincinnati with leads, but received no-decisions as the bullpen failed to hold the lead in each game...Posted a 3.44 ERA (34.0ip/13er) in six starts during the month of May; finished the month by allowing a total of two runs in 12.0ip over his last two starts, but went 0-1... Threw a career-high 111 pitches on 6/8 at Chicago (NL); a 3-1 loss...Gave up two runs (one earned) in 6.0ip while winning a 4-2 decision vs. Cincinnati on 6/15; his first win since 5/6...Gave up a season-high eight runs in 2.0+ innings on 6/21 vs. Arizona...Threw three wild pitches on 6/26 at New York - the most by a Pittsburgh pitcher since Mike Zagurski had three on 5/31/13 vs. Cincinnati...Left the game on 6/26 at New York after 4.0 inning due to right forearm discomfort...Was placed on the 10-day disabled list on 6/29 (retro to 6/27) with a right forearm strain...Played catch for the first time on 8/17...Threw off the slope of the mound on 8/29...Threw 30 fastballs in a bullpen session at PNC Park on 9/3...Underwent right elbow ulnar collateral ligament reconstruction surgery by Dr. David Altchek in New York on 9/20...Was transferred to 60-day D.L. 7/31...Was reinstated from the disabled list on 11/2. :Spent entire season in the starting rotation and pitched a professional season-high 157.1 innings...Went 6-5 with a 4.46 ERA in 16 starts at home and 2-6 with a 4.23 ERA in 15 starts on the road...Posted a 2.50 ERA in 10 starts during the afternoon...Tied for the ninth-lowest HR/per 9.0ip ratio (0.97) among N.L. 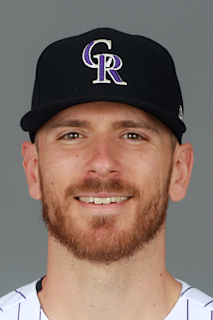 pitchers with at least 150.0ip....Picked up the win in his first start on 4/8 vs. Atlanta despite walking a career-high six batters...Walked as a pinch hitter on 4/16 at Chicago (NL)... Gave up a career-high nine runs in 1.2ip while losing his second decision on 4/24 vs. Chicago...Left his start on 4/30 at Miami after being struck by a batted ball on the right knee in the fifth inning (right knee contusion)...Was charged with two earned runs or less in five of his first six starts thru 5/5...Pitched 3.0 scoreless frames on 5/5 vs. Milwaukee before a rain delay of 2:27...Gave up a career-high 10 hits in an 8-4 loss on 5/16 vs. Washington (4.0ip/6er)...Snapped his six-game losing streak with a win on 6/20 at Milwaukee...Tossed a career-high 7.0 innings on 7/6 at Philadelphia...Made an emergency start on 7/9 at Chicago in place of Jameson Taillon (flu-like symptoms) on just two days rest; the first Pirates pitcher to start on two days rest since Rick Rhoden did so on June 18 and June 21, 1983 ...Snapped an 0-for-26 streak at the plate with a single off Milwaukee's Brent Suter on 7/17 - was his first hit since 9/26/16...Tossed 7.0 scoreless innings while winning his second game at PNC Park and first since 4/8 on 8/3 vs. Cincinnati... Tallied his first two career RBI with a two-run single off Detroit's Matthew Boyd on 8/8...Doubled off Michael Wacha for his first career extra-base hit on 8/19...Grounded out as a pinch hitter in the 12th inning on 8/21 vs. Los Angeles...Picked a runner off first base on 8/24 vs. LA...Had a career-high eight strikeouts on 9/4 vs. Chicago (NL) while pitching 7.0 scoreless innings... Surrendered four solo home runs in a 4-2 loss on 9/15 at Cincinnati; first Pirates starter to surrender four home runs in a game since righthander Edinson Volquez did so May 17, 2014... Went 5-1 with a 2.36 ERA (45.2ip/12er) in his last eight starts at PNC Park...Surrendered seven home runs in his 78.2ip at PNC Park and just one long ball in his last eight starts at home (39.2ip)...Went 5-for-48 (.104) with two doubles, three RBI, one walk and three sacrifice bunts at the plate. Began season with Triple-A Indianapolis...Tossed 5.0 scoreless innings and recorded his first win on 4/20 vs. Toledo...Finished the month of April with a 2-0 record and a 1.31 ERA (20.2ip/3er)...Pitched 6.0 scoreless frames on 5/11 at Syracuse and followed that up with 7.0 scoreless innings and one hit allowed on 5/16 vs. Columbus...Produced a 19.0-inning scoreless streak from 5/11-21...Gave up four runs (one earned) and suffered first loss on 5/21 vs. Scranton/WB...Threw a season-high 104 pitches in 5.1ip on 5/31 vs. Rochester...Was charged with two earned runs or less in each of his first 10 starts thru 5/31...Went 1-1 with a 6.75 ERA (18.2ip/14er) in four starts with Indy during the month of June...Was selected by Pittsburgh and made his Major League debut on ESPN's Sunday Night Baseball on 6/26; opposed Clayton Kershaw and won a 4-3 decision (5.0ip/3er) for his first big league win...Became the first University of Delaware pitcher to start a big league game since Dallas Green did so for the Washington Senators on May 7, 1965... Singled off Chicago's Jon Lester for first Major League hit on 7/9 at PNC Park...Gave up just one hit and tossed 6.0 scoreless innings while out-dueling Max Scherzer on 7/17 at Washington; was in line for a 1-0 win before the Nationals tied the game in the bottom of the ninth...Was optioned to Indianapolis on 7/19...Left his start after the first inning on 7/23 with right triceps discomfort...Gave up one unearned run in 6.0ip and lost a 1-0 decision at Columbus on 8/1...Was recalled by Pittsburgh on 8/9 and started that night vs. San Diego; won a 6-4 decision over Luis Perdomo (6.0ip/2er)...Improved to 3-0 after winning his sixth start on 8/14 at Los Angeles (6.0ip/2er); the Pirates were victorious in each of his first six starts; the first time since 1970 that the Pirates won each of the first six starts of a pitcher (Jim Nelson)...Suffered his first big league loss on 8/20 vs. Miami (6.0ip/3r/2er); a 3-1 setback to David Phelps...Pitched a career-high 6.1 innings on 8/25 at Milwaukee... Threw 58 pitches in 2.0 innings and gave up three runs while losing his third decision on 9/5 vs. St. Louis...Was the winning pitcher (6.0ip/2er) while pitching in front of about 100 friends and family members on 9/15 at Philadelphia (Delaware native)... Gave up one run in 6.0ip while winning his final decision on 9/21 at Milwaukee...Was charged with two earned runs or less in eight of his last 11 starts with the Pirates and in nine of his 14 big league starts overall...Went 2-for-23 (.087) with two sacrifice bunts as a batter in the big league. Spent entire season with Double-A Altoona and was named the club's Pitcher-of-the-Year...Finished third in the Eastern League in ERA, sixth in wins and 10th in strikeouts... Also posted the seventh-best WHIP (1.14) among Eastern League hurlers...Allowed one run in 5.0 innings while winning his debut on 4/12 at Harrisburg and posted a 1.64 ERA (22.0ip/4er) in four starts during the month of April... Surrendered first home run of the season in his eighth start while also losing for the first time on 5/22 at New Hampshire...Whiffed a season-high tying seven batters over 6.0 scoreless innings while winning a 4-0 decision on 5/27 at New Britain...Went 3-1 with a 0.61 ERA (29.2ip/2er) in five starts during the month of July...Tossed a 6.0-inning complete game and lost a 2-0 decision in the first game of a doubleheader on 7/17 at Richmond...Did not allow an earned run in three straight starts (18.0ip) from 7/5-17... Went 4-0 over a seven-start stretch from 7/22 to 8/28... Had team-high 23.1 scoreless innings streak come to an end in outing on 8/28...Went 7-1 with a 1.41 ERA (64.0ip/10er) in his last 11 starts with Altoona...Was promoted to Indianapolis on 9/15 after Altoona was eliminated from the playoffs...Started and allowed one run over 7.0 innings in Triple-A debut while coming away with a no-decision in Indianapolis' 5-4 walk-off win vs. Columbus on 9/18 in Game Four of the Governors Cup Finals. Tied for the Florida State League lead in wins, finished first in starts, innings pitched and winning percentage (.722) while spending entire campaign with Bradenton...Also ranked seventh in ERA...Led all Pirates farmhands in wins; his 13 victories were also a single-season Bradenton Marauders record...Tossed 5.0 scoreless innings in season debut on 4/4 at Charlotte...Was charged with two earned runs or fewer in 18 of his 28 starts overall...Had four-game winning streak come to an end on 6/16 before winning each of his final six decisions from 6/21 thru the end of the campaign. Made professional debut with Single-A Jamestown of the New York-Penn League after being selected by Pittsburgh in the ninth round of the First-Year Player Draft...Started and tossed 3.0 scoreless innings in his pro debut on 6/21 vs. Williamsport...Did not allow a run in first three starts (10.0ip) from 6/21 to 7/11...Recorded first career win on 7/23 with 5.0 scoreless innings at Batavia... Did not surrender a home run in his 55.1 innings of work and surrendered more than two earned runs in just one of his 13 starts. March 1, 2019 Pittsburgh Pirates placed RHP Chad Kuhl on the 60-day injured list. Recovering from Tommy John surgery. November 2, 2018 Pittsburgh Pirates activated RHP Chad Kuhl from the 60-day injured list. July 31, 2018 Pittsburgh Pirates transferred RHP Chad Kuhl from the 10-day disabled list to the 60-day disabled list. Right forearm strain. June 29, 2018 Pittsburgh Pirates placed RHP Chad Kuhl on the 10-day disabled list retroactive to June 27, 2018. Right forearm strain. August 9, 2016 Pittsburgh Pirates recalled RHP Chad Kuhl from Indianapolis Indians. July 19, 2016 Pittsburgh Pirates optioned RHP Chad Kuhl to Indianapolis Indians. June 26, 2016 Pittsburgh Pirates selected the contract of Chad Kuhl from Indianapolis Indians. January 4, 2016 Pittsburgh Pirates invited non-roster RHP Chad Kuhl to spring training. September 15, 2015 RHP Chad Kuhl assigned to Indianapolis Indians from Altoona Curve. April 6, 2015 RHP Chad Kuhl assigned to Altoona Curve from Bradenton Marauders. April 1, 2014 RHP Chad Kuhl assigned to Bradenton Marauders from Jamestown Jammers. July 5, 2013 Jamestown Jammers activated RHP Chad Kuhl from the 7-day disabled list. June 25, 2013 Jamestown Jammers placed RHP Chad Kuhl on the 7-day disabled list retroactive to June 22, 2013. June 13, 2013 Pittsburgh Pirates signed RHP Chad Kuhl. June 13, 2013 RHP Chad Kuhl assigned to Jamestown Jammers.